1. Your Holiday Options - Relax or Explore? Europe is one of the most diverse continents on the planet. There are so many varied landscapes, from mountainous regions to long rugged coastlines, from ancient cities to modern metropolis’ we have no doubt that your first European vacation with be the adventure you’ve always dreamed of. That said, many people see a European vacation as a chance to relax and unwind and there is a myriad of locations to do just that. Whether you’re looking for a luxury five star, all inclusive resort package holiday or a do-it-yourself style backpacking escapade then Europe has just the right holiday for you. In this step-by-step guide, we will help you decide what kind of holiday you’re looking for and how to book it, from beach resorts to city escapes, from hiking holidays in National Parks to the best locations to visit with kids, look no further than this guide to planning your first European vacation! How to Spend 10 Days in Europe? As we have mentioned a European vacation offers a wide range of activities and options to choose from. The first step to planning your first European holiday is to decide what kind of holiday you want. Some of the options include inter-railing, beach resorts, national parks, city breaks and romantic getaways. Travelling with children adds to the decision making process and whether or not you want an all inclusive package deal or a trip planned and organised by yourself. There are pros and cons to both options. By choosing a package holiday you eliminate the stress of planning before hand and the franticness of moving from place to place and in many ways can save you money. Also, by choosing an all-inclusive packing you don’t have to worry about cooking or cleaning and in many cases not even have to book an airport transfer to the resort. On the other hand, all-inclusive deals can be limiting. Often travellers feel obliged to eat at the resort’s on-site restaurant to maximise their money’s worth. You could also find yourself not straying far from the resort and missing out on what else is on offer around the place. If a DIY holiday is what you’re after then planning and research prior to your trip is essential. This can make your experience more rewarding and satisfying and if you’re savvy enough, can save you money too! Exciting and varied, if you want to cover as much of Europe as possible on your first trip to the continent then inter-railing is certainly the choice for you! 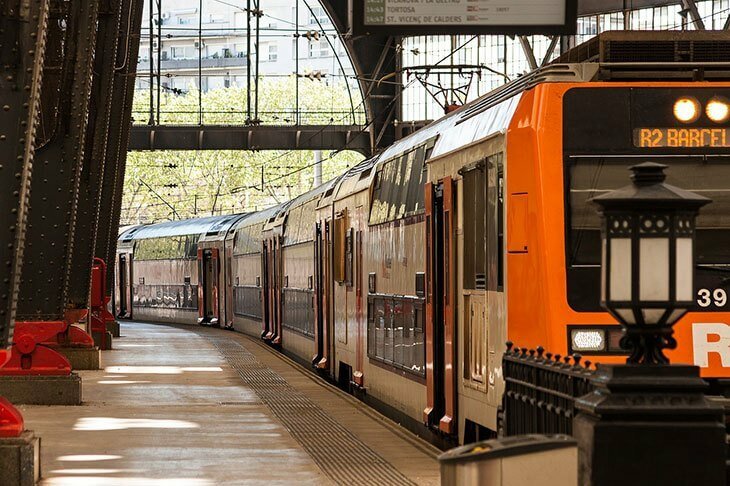 The standard inter-railing pass offers you free train travel in over 30 European countries, the only additional cost is your seat reservation which is essential in the summer months as the trains get busy with fellow holiday-makers and travellers. You have multiple ticket option available to you, from ‘Travel 5 days within 1 Week’ to ‘Travel Everyday within a One Month Period’, so our top tip is not to book your inter-railing ticket until you have an itinerary planned so as to not risk buying a ticket under a number of times you intend to travel. The Interrail Europe website is incredibly easy to use and gives you all the information you could possibly need. Just remember; your ticket is valid for three months from the day of purchase, so don’t go buying your ticket too far in advance! Inter-railing Europe is a great introduction to this multifaceted continent. It will give you the chance to explore multiple nations, cities and landscapes while meeting new people along the way, travellers and local alike. If you’re the adventurous type and want a truly authentic European experience then inter-railing is the choice for you! Europe is the home of the beach resort package holiday! In the late 1970s, there was a massive touristic boom with travellers from Northern Europe heading to Southern Spain and Portugal for the first wave of international travel holidays. This trend hasn’t stopped since and the European beach holiday is one of the easiest to organise and are generally great value for money too! Spain, Portugal and Italy are the most popular destinations and are very easily accessible as all are home to major international airports offering transfers straight to the popular resorts. Alternatively, you can hire a car for the duration of your stay and drive around the beachside villages and towns and explore for yourself. Beach resort vacations in Europe can be easily booked independently of a travel agent. Booking your first European vacation online is easy and painless! With safety measures put in place, you can rest assured that what you pay for will be delivered too! Last minute deals come up online all the time for package beach holidays to Europe and as such we suggest you hold off until the last minute to book this kind of holiday for greater value for money. That said, flight ticket prices generally go up at the last minute so pick your moment well! We recommend the South of Italy and the Spanish Islands of Mallorca and Gran Canaria for your first European vacation to the coast! 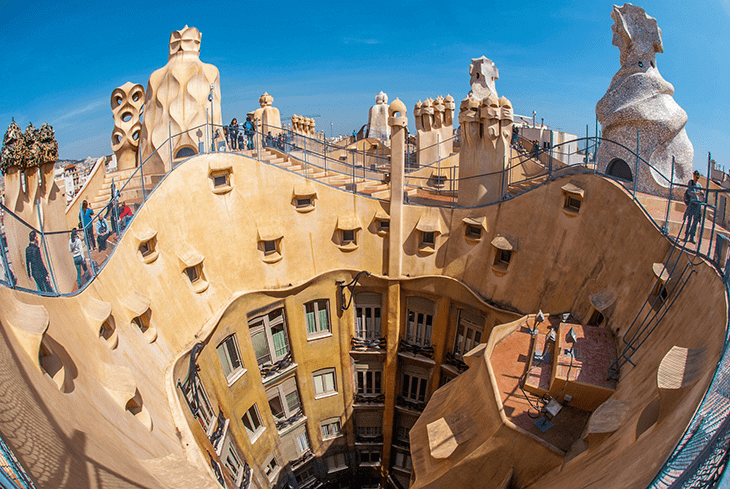 If wonderful architecture, fine food and luxury townhouse accommodation are what gets your eyes gleaming then a city-based holiday is a great idea for your first European vacation. 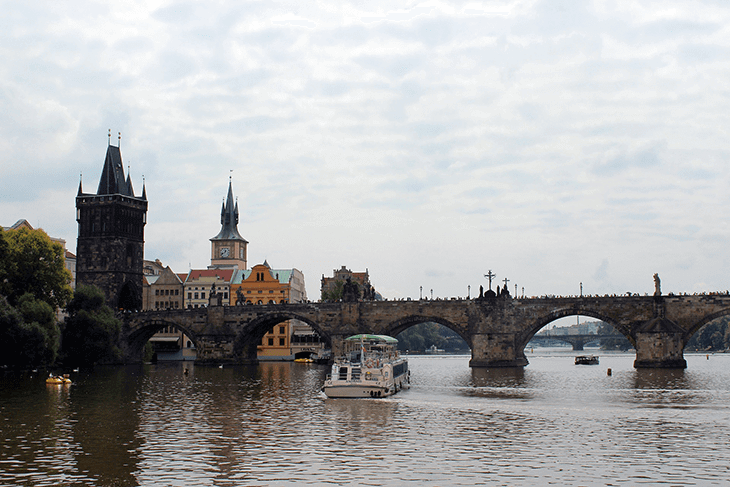 For a combination of class and culture, history and architecture, fun and great nightlife then the cities of Eastern Europe are where you should head. The first cities that spring to mind are of course Prague and Budapest. Although these cities are amazing in their own right your first trip to Europe is an opportunity to get off the beaten track and scratch beneath the surface to discover a truly authentic and genuine side of Europe unbeknown to many who visit. Check out these cities in Europe that are worthy of your consideration! As with the beach holiday packages, city breaks in Europe are easy to book online yourself and this is fast becoming the most popular method of arranging such holidays. The first step is to decide on a country and city, take Budapest for example. Almost all European nations have heavily invested in their tourism marketing and as such have great websites full of useful information. Look here at GoToHungary. These sites have all the information you could need plus useful blogs about what’s on and where to visit. If you're unsure about which hotels and day-tours are reputable you can rest assured that by choosing a vendor listed on these types of sites that you will not be ripped-off as they come recommended by the National Tourism Board. To find these types of sites simply search ‘Visit (country of choice) in your search engine. If you want a city experience for your first European vacation then there are plenty of options to chose from! Europe has some of the best, wildlife abundant, nature filled National Parks on the planet. A vacation to Europe is a great excuse to reconnect with nature, strap-on those hiking boots and get exploring. 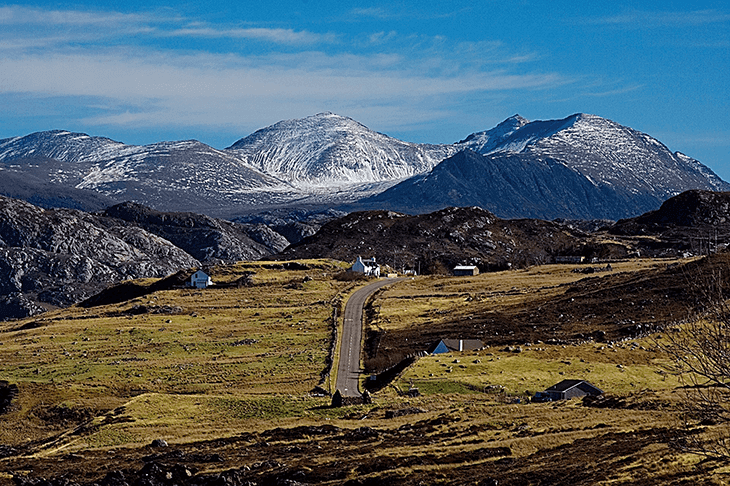 As accessing National Parks can be tricky at times we recommend that you book onto a tour to visit the National Parks. This way you know all your entry permits will be legitimate and that you will get there and back in one piece without any hassle either! The Plitvice Lakes in Croatia are simply the most spectacular National Park Europe has to offer. The crystal blue pools can be viewed from every angle around the rugged walkways of the park. In the summer months the lakes look all too inviting to swim but sadly that is not permitted. Even in the winter months, the Plitvice Lakes look magical, glistening in the frost. The Plitvice Lakes can be visited in a day-trip from the Croatian capital city of Zagreb and is highly recommended! The National Parks in the UK are some of the most easily accessible and wonderful places to visit in Europe. All are free to enter and good public transport means that you can access the easily from all the major cities and towns. Vacations to the National Parks of the UK are easy to organise and offer a really genuine British experience. These rural areas are off the beaten track and readily welcome visitors from all over the world! Whether you head to the Brecon Beacons in Wales, Exmoor in England or Loch Lomond in Scotland you will immerse yourself in nature and get some good exercise in on your holiday too! Did we mention how picturesque the National Parks of Europe are?! Photogenic beyond belief! Get your camera at the ready! Holidays with children can be stressful, trying to keep them occupied all the time while having a relaxing experience yourself is no mean feat! Europe has a whole host of adventure family holidays on offer that will keep your little ones on the go and learn at the same time. Scandinavia is a great place to visit for a family vacation. Incredibly safe, clean and very welcoming the Scandinavian nations in Europe are a great choice for a family holiday. In Sweden, it is possible to enrol on a Bushcraft Adventure Holiday where as a family you will learn nature-based skills and outdoor pursuits. Camp in the great outdoors and learn how to scavenge and hunt for food, like wild mushrooms and ginger. Join the crew for hiking and canoeing adventures and head back to base of an evening for a memorable and magical campfire under the bright stars. These types of holiday are easy to book online in advance and as many of these types of outlets are small family run businesses offer a truly personalised experience from the moment you book! Check out NatureTravel’s Bushcraft in Sweden for some ideas! 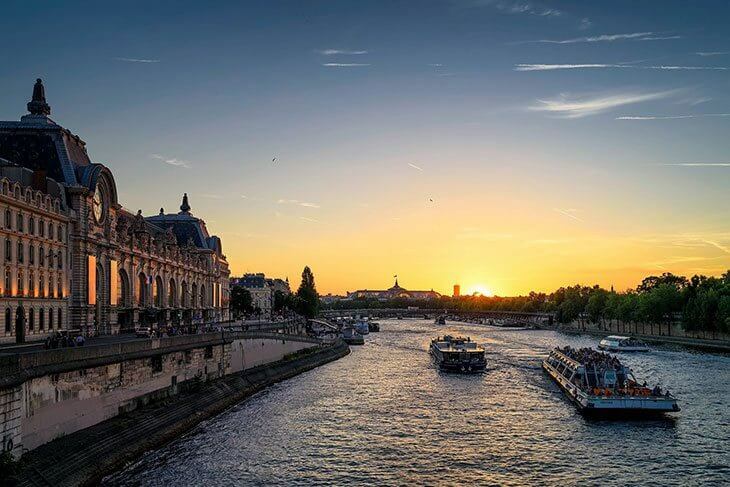 Europe is home to the city of love, Paris and so many more magical, romantic places too. From ancient castles overlooking Lake Geneva in Switzerland to classic Chateaux' in the South of France from luxury marinas in Montenegro Bay to imperial and decadent hotels in Vienna, Europe is the perfect place for a romantic and relaxing getaway with your loved one. Although there are many amazing private holiday rentals on the continent if you want a romantic getaway chances are you’re looking for a touch of luxury too. Champagne Breakfasts, four-poster beds and of course roses on arrivals. The Amalfi Coast in Italy is widely regarded as one of the most romantic locations in Europe. We advise that you book your romantic escape as far in advance as this is a very popular destination; who said romance is dead?! We don’t recommend spontaneity unless you’ve got the budget to back yourself! We believe that if you want a seamless, truly relaxing and hopelessly romantic getaway that you book your European couples holiday through a travel agent. Private tours can be easily arranged by your travel agent and all the added extras you want in your hotel room can be organised prior to your arrival so that when you walk in the door, the romance can commence! 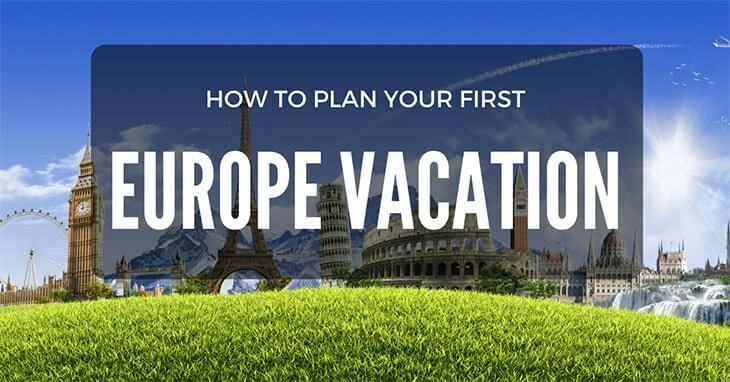 So there it is our step-by-step guide to booking your first vacation in Europe. With so many options to chose from you’re certainly spoilt for choice. Remember, first choose your destination, secondly the type of holiday you want there, thirdly contact a booking agent or begin independent research via the National Tourism Board for your destination and finally, plan your packing list and ready to go! It's as easy as one, two, three!